5 Reasons to Stay at a Boutique Hotel - A Rose Is A Rose Is A Rose! 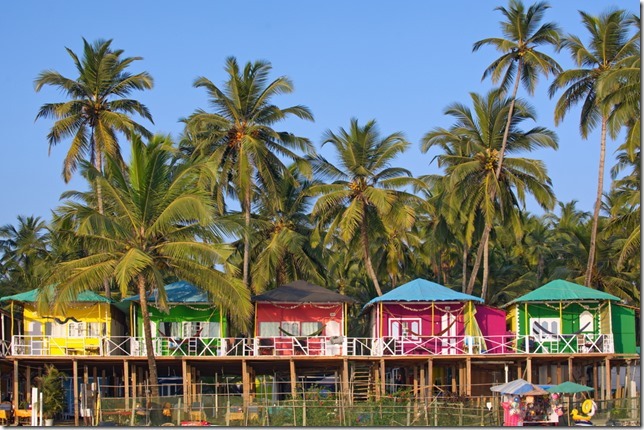 Few months ago, I was looking at hotels in Goa. 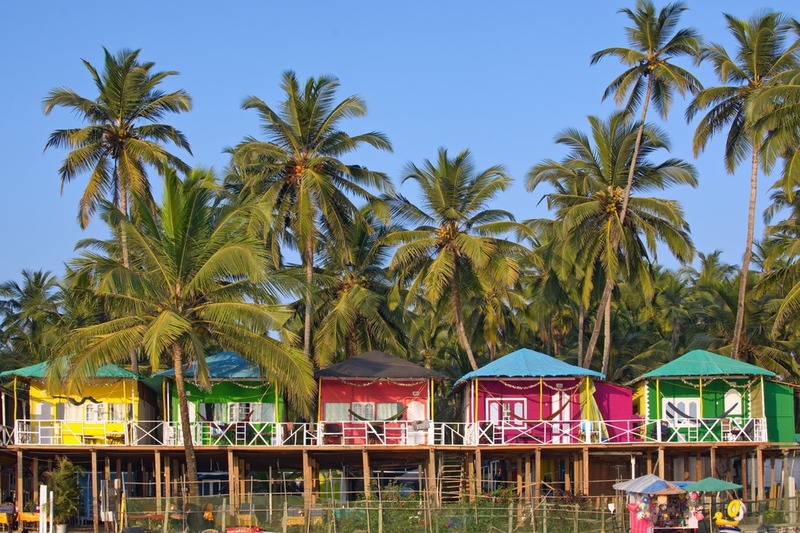 After scanning through various properties, I chose a boutique hotel, The Cape Goa. And believe me, I have become a boutique hotel convert and would prefer them over regular or large chain hotels, anytime. As a frequent traveler, for me a hotel room isn’t just to freshen up and rest for a few hours, but is much more than that. Boutique hotels truly offer rich traveling experience. And if you look at reviews on various websites, you will notice that boutique hotels always have superior reviews. But, what is a boutique hotel and how is it different from any other hotel. If you’re looking for a hotel for your vacation or a business trip, here are 5 reasons to choose a boutique hotel. 1. Wow Factor: Everything about a boutique hotel will impress and dazzle you. The architecture, design, décor is unique and may be quirky or chic, modern or contemporary or historic or plain homely. Everything is unique and luxurious and will truly delight and surprise you. 2. Signature Dining: Food is love and life for all of us. And a boutique hotel invariably has an outstanding restaurant that draws the local crowds too. 3. Personalized Service: At a boutique hotel, you’re not just another guest. Since, there are only 5-50 rooms on an average, you can be assured of not just amazing customer service but amazing personalized customer service. They believe in tailoring to your personal preferences and you always feel like you are a special guest. 4. Pet Friendly: It can be hard to leave the four-legged family member behind when you go on a holiday. But not anymore. Unlike traditional hotels, boutique hotels have fewer restrictions and rules and they welcome pets with open arms. Some even provide doggy beds, so that the entire family can have a comfortable stay. 5. No Two Stays Are the Same: Each boutique hotel offers unique experiences and services. With warm and personalized services, you will be buzzing with exclusive experiences. Even in one boutique hotels, different rooms have radically different aesthetics and arrangements, so you may return back to the same hotel and discover something that you hadn’t experienced before. 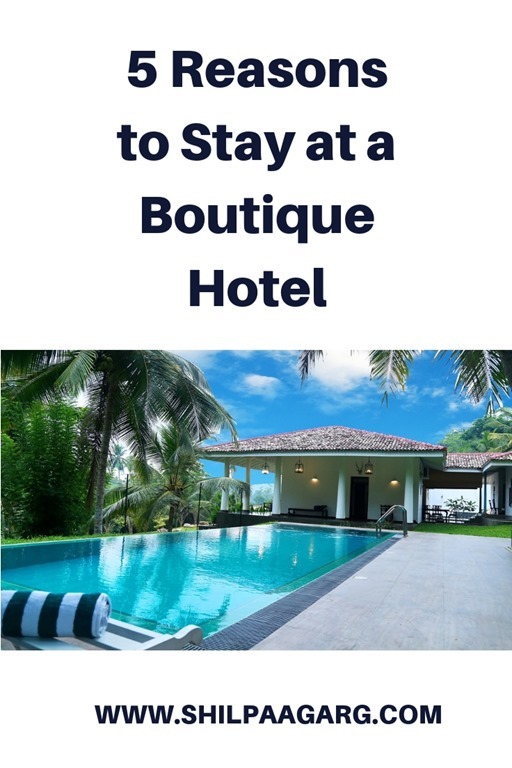 Have you stayed in a boutique hotel? How has been your experience? Do share in the comment box below! Now you’re making me want to find a boutique hotel and an excuse to go away! I have never been to .after reading thinking about it . Never stayed in boutique hotels. I must try this. Great post shilpa.. Boutique hotels are an expereince of a kind. I did encounter one in ooty some years back, and must say it was a wonderful expereince. Boutique hotels are expensive but luxurious. They provide exclusive services only starting from food to almost everything. I have always loved and stayed in boutique hotels buddy for their personal appeal and wow uniqueness. boutique hotels often cater to different needs by customers and are very gracious to their guests. The wow factor is definitely good. boutique hotels are also great venues for destination weddings.